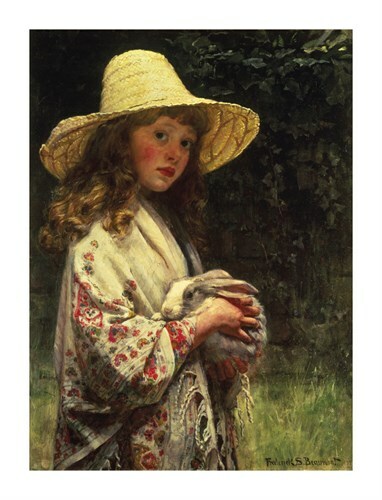 Born in Yorkshire on 23rd February 1861, Beaumont studied art at the Royal Academy Schools and at the Academie Julien in Paris. Whilst studying at the Royal Academy Schools he was awarded the Silver Medal for the skill of his drawing. He worked often to commission, his main customers and official purchasers of his work being the P&O Company. For them he designed many beautiful and decorative panels. Beaumont lived in Melbury Road in Kensington, London; a few houses along from another great artist of the nineteenth century, George Frederick Watts.